We are all chameleons in a colorless world or dreamers, stargazers, humans: 7 billion extras pacing on the lens of your life. Here, I am auditioning for 284 seconds: a cameo, a chameleon. 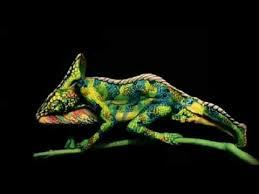 Chameleons are eccentric beings. A few years ago, my mother and I bought one for my older sister along with a cage, a utopia of artificial grasses, paint-on trees, and clip-on mates. That April, he remained anonymous since we argued over his name. He left rather frequently morphing with my bedroom walls (cyan), the sofa (mauve), the countertop (ebony), the windowsill (green) often dazed. No wonder, he ran away after a month into our backyard. This anecdote, however, parallels the destinies of my family: I am a colored man. My mom is an immigrant. My sister is now a young woman. I am a colored man. I went to a waspy, all-guys school for several years during my childhood. In many yearbook photos, there was me: shapeshifter. I was taunted because of my immutable characteristics: race, voice, looks, religion and so I tried acting white. I modified my speech, switched my name to Jake, bought new clothes and a crucifix, lost thirty pounds and cut my hair. Eventually, I moved to a lyceum with mostly colored students. My mom is an immigrant. Way back, my mom was employed with an English-speaking firm. She was underpaid, overworked and mocked for her accent and clothing by her coworkers. She went for speech therapy, English enrichment classes, abstained from utilizing Russian and volunteered at the local hospital through the workplace remained hostile. Soon after, she quit and joined a Russian-speaking law firm. My sister is now a young woman. In middle school, several boys bullied her over her looks and weight. As a coping mechanism, she acted androgynous for a short time: cutting her hair, dying it, buying pants, trashing skirts. She was like the word: a phantom. This harassment never ceased and soon after she transferred to an all-girls school. We three are like the chameleon. Us, who ensconced our habitats, after changing our coats infinitely because we came to understand this was futile. We had to leave, but did we? These were but microcosms: not every species can survive in each. Outcasts can be extinct there and plentiful here. Today, my family and I have begun to assimilate for better or worse. I am here in a mainly Caucasian environment. My mom communicates with her clients in English along with the carry-out of her daily activities. My sister is coming to the realization that she will be in a co-ed dorm next year in university. She has a caring boyfriend as well. All this change in 10 years. Today, I can see someone like me on the news and in magazines. Today, I am less likely to be frisked at the airport. Today, I can get paid ⅘ of a white man. Today, my sister can walk alone late at night and take taxis. And, my mother can write her name on a job application without fear of rejection. We as humans must realize how much more we are than names or bodies. Humans are not tickets, numbers; the body is but a set of clothes, a cage around the heart. We all have the same blood, stare at the same stars and sleep under the same moon. I am brown, you are white, she is yellow, he is black, but inside we all are: bloodied, toiled. I used to call myself a chameleon. Never did I realize: we are dreams, not dreamers, stars, not stargazers, mirrors, not chameleons. This entry was posted in Essay/Speech on May 24, 2017 by Ideas With Ink.